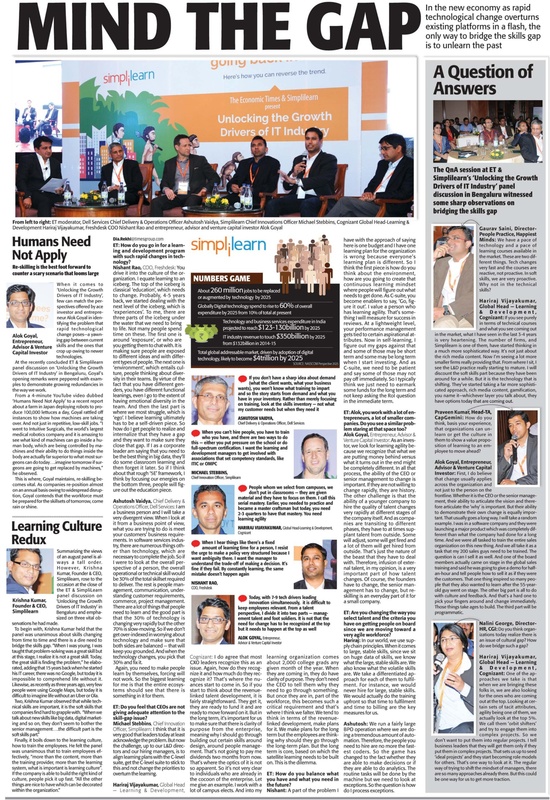 Simplilearn‘s session on skilling the IT workforce was held on 2 Feb in Bangalore in association with Economic Times. 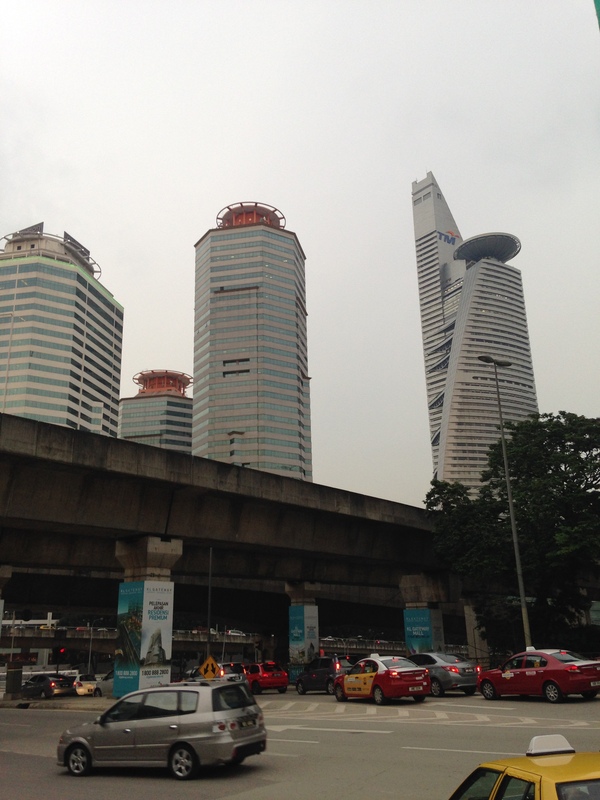 There were L&D leaders, HR practitioners, and company executives in the audience. 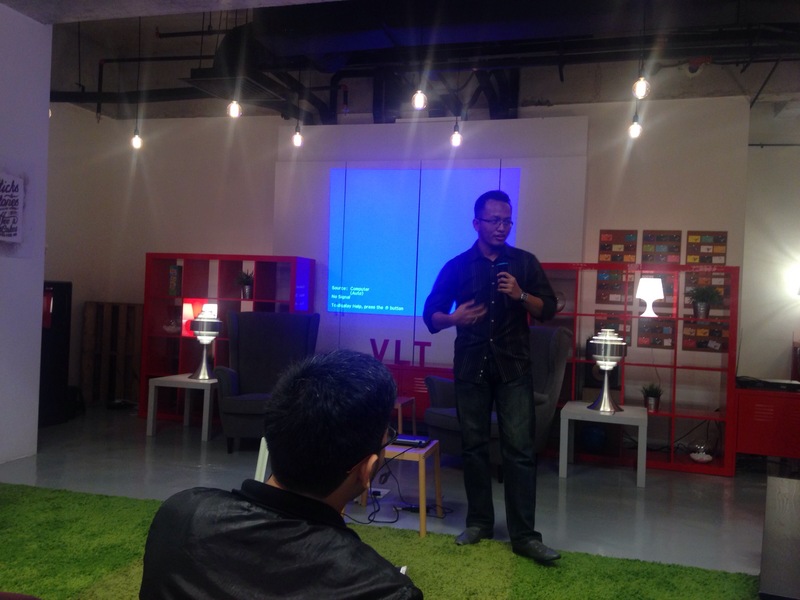 It started with Alok Goyal, who until recently was senior partner at Helion, a VC firm, making an opening note. He painted a good picture of the future of skills required for IT referring to it modestly as defining the problem rather than solving the problem. Driverless cars are coming sooner than we expected; old human jobs getting replaced by machines are happening at a quicker pace. There is a farm in Japan completely run by robots, which produces quintillions of produce. Intuitive Surgical has robots doing surgery. Re-skilling is a necessity. Takeaways: General-purpose robots like Baxter can learn by watching humans. Boston Dynamics produces robots to take on human tasks. Briggo has no humans and can deliver personalized coffee at any chain by sharing preferences of you. Emily Howell, a computer program can produce music [Musically inclined, intrepid soul should read Computer Models of Musical Creativity written in 2005]. European Commission’s Human Brain project has a lot of research in regard to understanding brain. Quill could build out narratives from data and charts, which is the bread and butter of so many KPO’s. Just like we no longer need as many horses up until 1950’s, we will not as many humans soon! World Economic Forum’s 2016 Future of Jobs (Warning: 12-page pdf) predicts a loss of 7m jobs by 2020 and an increase of 2m resulting in a net loss of 5m. During previous industrial revolutions, it often took decades to build the training systems and labour market institutions needed to develop major new skill sets on a large scale. Given the upcoming pace and scale of disruption brought about by the Fourth Industrial Revolution led by convergence of artificial intelligence and machine learning, robotics, nanotechnology, 3D printing and genetics and biotechnology, however, this is simply not be an option. Without targeted action today to manage the near-term transition and build a workforce with futureproof skills, governments will have to cope with ever-growing unemployment and inequality, and businesses with a shrinking consumer base. IT services companies have reduced hiring in 2015 in response to increased automation – Cognizant hired only 10,200 which is 74.6% less employees in 2015 than previous years, while HCL Technologies hired 3465, which is 71% less compared to 2014. Ashutosh Vaidya, Chief Delivery & Operations Officer at Dell Services took a business approach boasting 4-times revenue generated per employee compared with other IT services organizations. 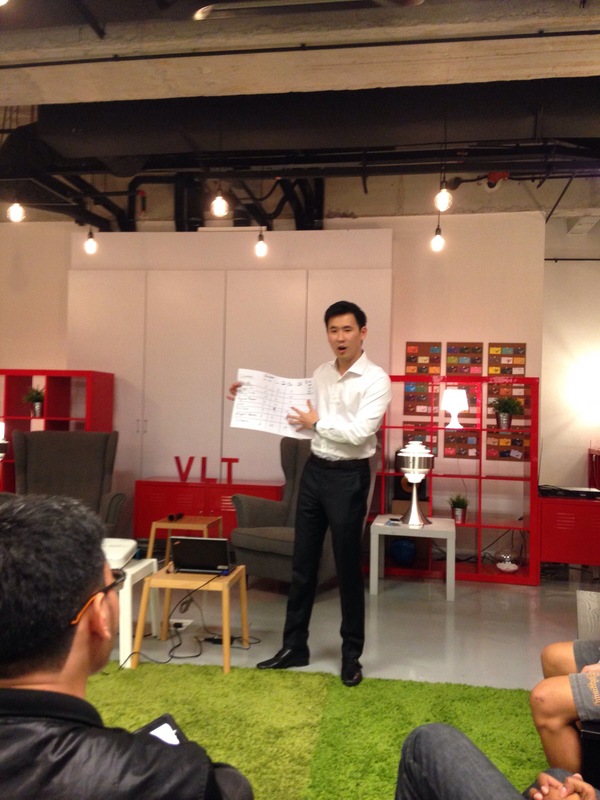 He emphasized customer-driven approach to training. While Nishant opined unstructured training to spur creativity, ambiguity (which has made Freshdesk get 70k customers, 1/2B revenue with the efforts of 600 employees, Hariraj Vijayakumar, Global Head, Learning and Development, Cognizant opined about methods with neuroscience underpinnings. Adults learn better, when the training is better; though they feel that they learned more, when taught consecutively, something referred to as massing effect. It’s an evolution for training materials too. CTS took 2 years to get it right. They started with just splitting the original material in contrived chunks. Slowly, the material evolved to be more effective. I have felt that I can connect things better and retain more, when learning over a period of time. The panel then discussed about lateral hiring vs training own personnel. It’s a delicate balance to tread. Alok was of the view that we should get outside professionals at all levels. Whereas the standard practice in several organizations, notably large services companies has been to get a large number of freshers (Unrelated to this concept, Hari mentioned that 20k freshers get inducted into CTS every month). We (yes, it was an interactive, small group) discussed about failure. Nishant having spent 20 years in the US talked about a societal change needed in India, where excellence is revered, but failure scorned at. There is a need to take constructive feedback sportingly in the company culture. During first 3 months at Mckinsey, Alok got so much feedback about his dress, presence etc, that he thought everything is wrong with himself! There needs to be an emphasis on learning agility among individuals. In the end, Simplilearn’s CEO Krishna Kumar summarized the panel discussion. I will end the post with technological drivers in next decade staring at us. Economic Times coverage can be seen here. ELK stands for ElasticSearch, Logstash and Kibana. 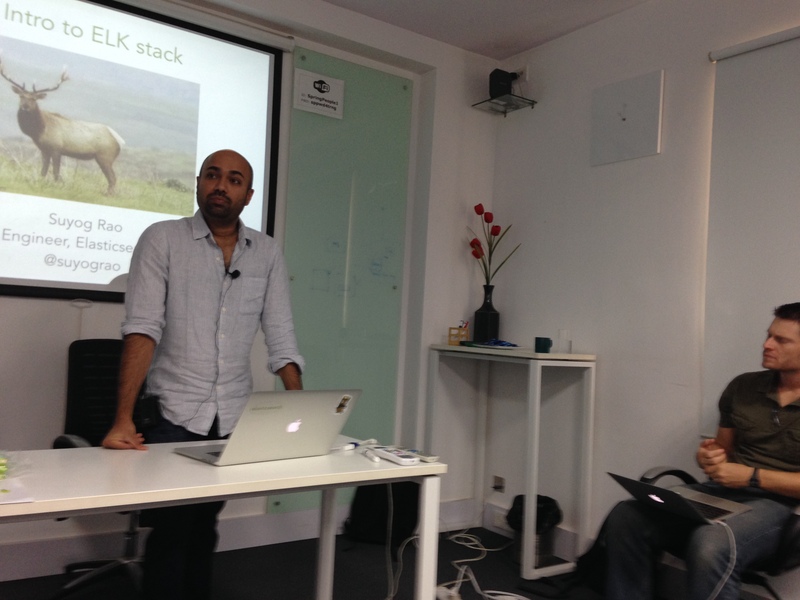 I had become acquainted with this during MongoDB Day – Bangalore on 19 May 2014 by Susheel Zaveri’s excellent talk. 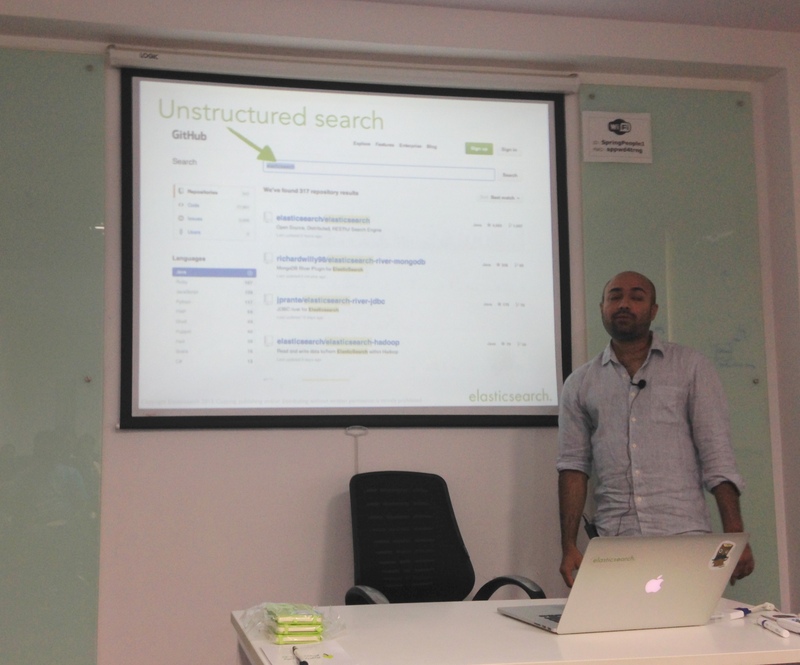 So, I was overjoyed, when the Elasticsearch Meetup Bangalore’s First Meetup coincided with my trip on 27 Sep 2014. Elasticsearch has got an open, RESTful API that makes it easy to build applications on top of it. It can process both structured and unstructured data, so you can derive insights from log files to Tweets to plain old CSV files, all in near real-time. Best of all, you can ingest data from all these disparate sources easily into Logstash, then search and analyze across all of these types of data with Elasticsearch, visualizing the results using Kibana. This stack makes these insights available to anyone in an organization through Kibana’s dashboards, which are share-able and don’t require programming know-how to use effectively. These features – plus many more – make the ELK stack so flexible that it meets the big data challenges of a wide variety of verticals. A major financial company uses the ELK stack to do anomaly detection and root out credit card fraud. Another one performs analytics and sentiment analysis across social media data. Yet another one detects hacking on their networks, and yet another for full-text search across e-commerce sites with billions of entries. The popularity of ElasticSearch can be gauged from the total number of downloads, which stands at 10M in last 2 years. It uses replication for high availability and performance. For horizontal scalability, it uses sharding. He covered Logstash and Kibana next. Logstash is a ruby app, which runs on JVM. It allows one to collect, parse, enrich and store logs and events. Kibana allows one to have beautiful visualization on top of Elasticsearch index with zero code. The new version makes use D3 library. He showed a quick demo. Actually covered a lot of stuff in short time. Elasticsearch does not have a book on it, although it will soon be solved. There are good references and videos, but nothing structured like a book yet. Don’t use Elasticsearch as a primary database. The data should first go into mysql, MongoDB or other transactional datastore. Though ES allows one to have a mixed mode node with both meta data and data, it is best to separate master and data nodes. For multi-tenant index like Helpshift’s usecase, an index per customer is not a good idea, but something based on the index size. He said helpful steps about bulk loading like controlling replica count etc, but I did not catch it fully. Benchmarking is hugely important and should be done at staging and development phase to prevent aches during production. He mentioned about a tool called Tsung, which helped them benchmark percolators. Percolators allowed live notifications of new issues. During runtime, a lot of debugging can be done using cat API’s, so make use of them. Tune JVM parameters, like allocate more memory for young generation. RTFM – Basically read manual carefully. Pay special attention to the unit, whether a particular number refers to ms or seconds. Advanced ES users make use of filters to make complex views. There were many others, but I guess we have to wait for the presentation to arrive. 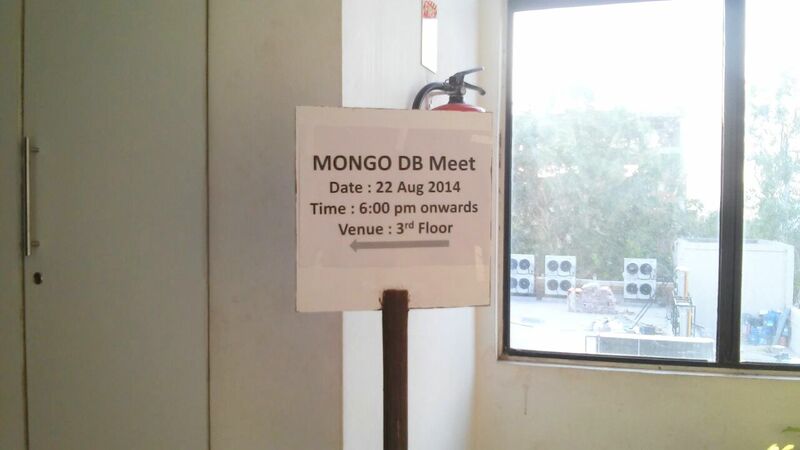 Mongo Dilli (meetup url) held its meetup at Jabong on Aug 22, 2014. We started around 6:15 after initial introduction of participants. At least a quarter of them were using MongoDB in production, while few had just started looking at it. 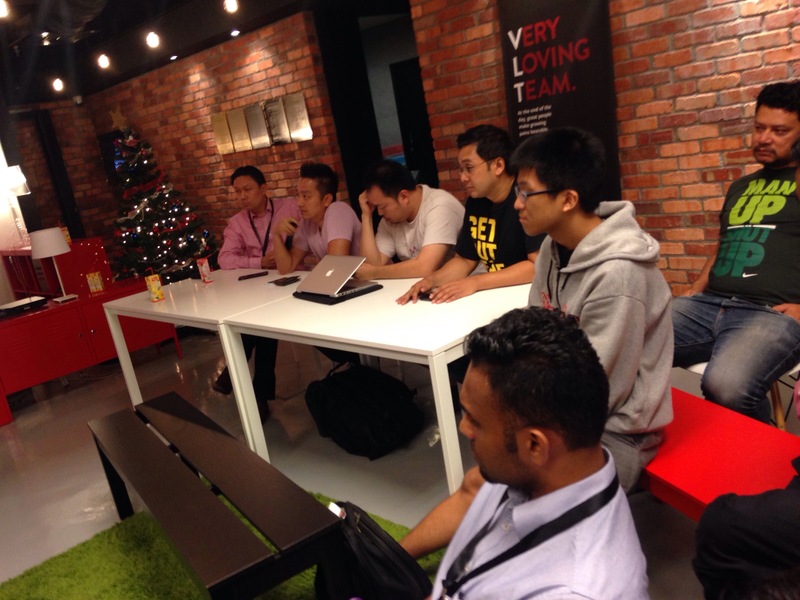 About half of them had not tried MongoDB yet, but were extremely interested in it. 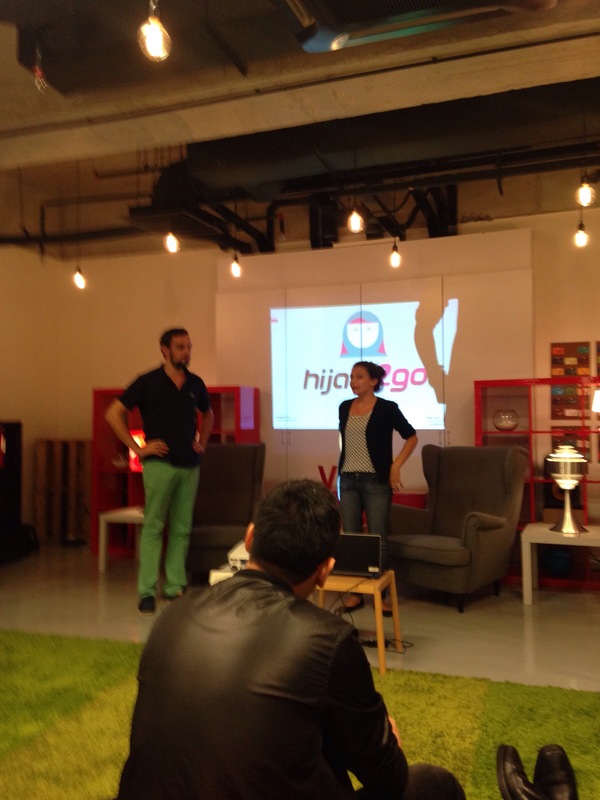 The first talk was by the hosts at Jabong, Supreet Sethi and Apoorva Moghey. They had audaciously run MongoDB on Raspberry Pi running ARM processor. Since MongoDB runs on small Endian machines till MongoDB Inc fixes SERVER-1625, they had to use download a fork (github url) of MongoDB and compile it. While they were presenting, I was frantically trying to finish up presentation. I tried rigging the raffle bucket, but it did not work, as I did not win it at the end just kidding :)! After this, I started with my talk on Product Catalog: Retail Reference Architecture with MongoDB. After all, I was at Jabong, India’s leading e-tailer! On a serious note, the schema design in MongoDB due to its document structure is different compared with relational ER modeling, so I chose a sample domain to illustrate general points. I did spend quite few minutes on answering general and introductory questions on MongoDB, nosql; because 50% of audience was new to MongoDB and a few entirely fresh to nosql. 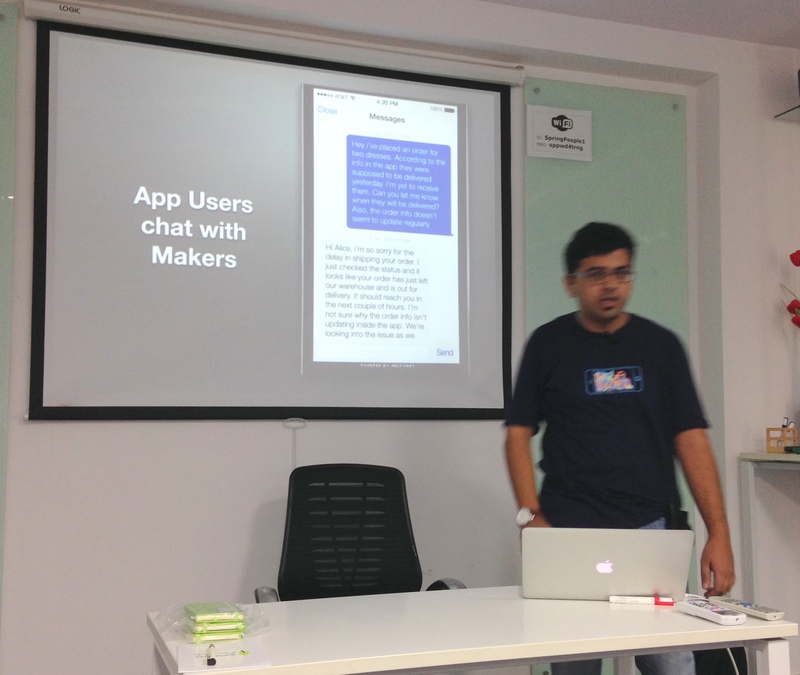 After this Anuvrat Prashar from product review portal, Zopper presented his journey of Python and MongoDB. It was really a pleasure to listen to the nerdy talk. Interestingly, he had ssh’ed to his box from his colleague’s over the internet, as his machine did not have a connector to the projector. His presentation was HTML5 and transitions were taking time after action, but things worked fine. 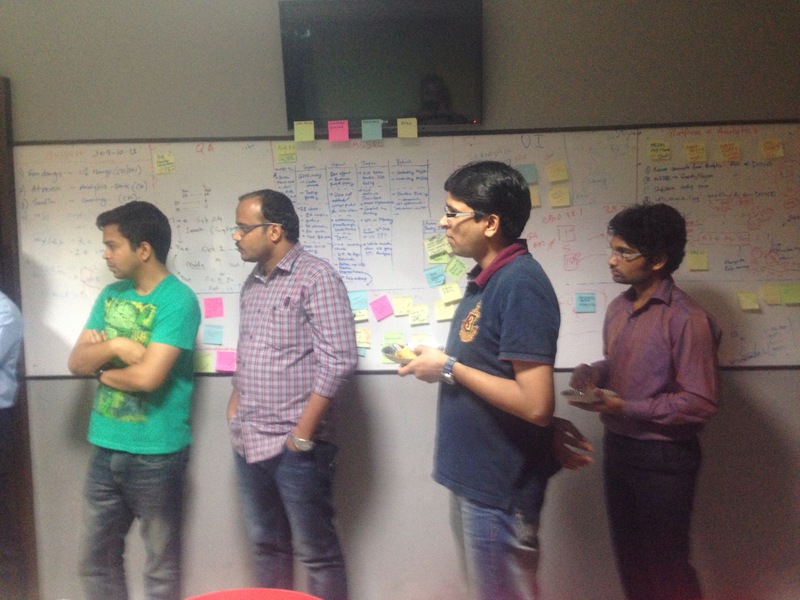 We learnt a big deal about Python MongoDB driver and a few wrappers on it. The crawling produces semi-structured data, which is easily digestible by MongoDB. It would be a nightmare to do the same on a relational database. The most important part was the drawing of raffles to announce 3 winners. The prizes were sponsored by Jabong. We had nice snacks and a great time networking with enthusiasts and users of MongoDB afterwards. Linkedin had announced in June 2014, that it had a base of 26 million professionals in India, which is 2nd largest after USA – Hindu news article. Linkedin analyzed (original post on Linkedin blog) movement of technology professionals between Nov 2012 and Nov 2013. If we compare just the Indian cities, which appear in top 10 cities globally, Bangalore (or Bengaluru) comes to top in both absolute and percentage terms. You may view the chart directly on Tableau public site. Check out MongoDB World videos and presentations. Feel free to check out the keynote sessions, as well as most popular customer and internal sessions at MongoDB World. 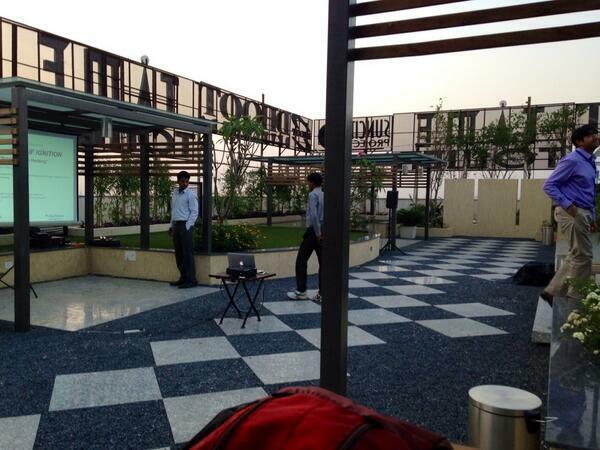 SAIF held a meeting for entrepreneurs at its office terrace on the theme of mobile marketing. There were a lot of folks from SAIF investee companies like PayTM, PropTiger etc. After initial snacks and networking, Deepak Abbot (@deepakabbot), Product Marketing Head from PayTM provided valuable insights regarding mobile marketing. PayTM has been marketing for 1.5 years. It grew 4x. It is a desktop web company to start with. 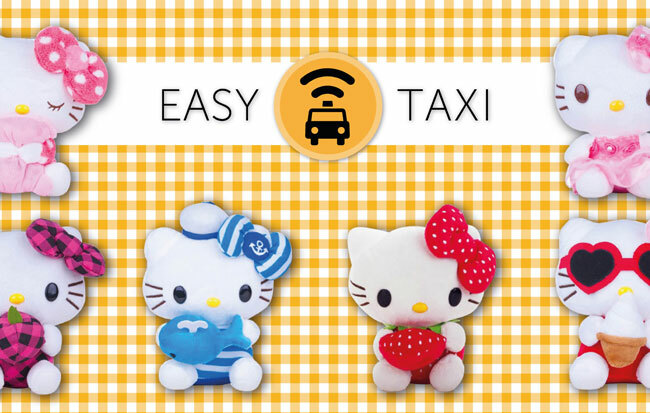 Now, 60% orders come on mobile. They have seen 6m app installs till March 2014. Windows is 2nd biggest interestingly. Have to spent money, not upgraded. 4% revenue. They started with a target 10m in 2 yrs. Acquire, retain. Loyalty, monetize, analytics are key to mobile marketing. First 3 months is your best chance. Use the following 5 methods for it. App Store optimization – keywords in title, description. New google play policy on April 1. App icon. Category – secondary. Non-competitive categories like Education. More no of installs on iOS. Active users, uninstall, inbound links. Less than 1000 a day can rank. Ranking doesn’t change too fast on Play. If uninstall rate is 40%, it is taken -vely. Reviews and ratings – Ask review. Android allows review reply – use that. Windows app Store has these feature now as well. App Store submission – In addition to submitting to standard stores, like Apple AppStore, Google Play Store, list your application at 50 other stores like amazon, getjar as well. Active install. Gaming 10 times a month. Paytm 4 times a month. DTH recharge is done monthly. Don’t send irrelevant notification. Use it selectively. Virtual gratification – Quizup. Titles. Crown around photograph. Appslar, Flurry, google analytics, localytics,for mobile. How many organic, reference. Cohorts like how many came today segment. Transacting vs how often, how much money. ARPU. LTV. How many are opening on day 1. PayTM benchmark is 40%, but keep it at 10%. Configure certain standard stuff on day 1. Schema.org (Semantic web for lesser mortals) should be enabled on day 1. 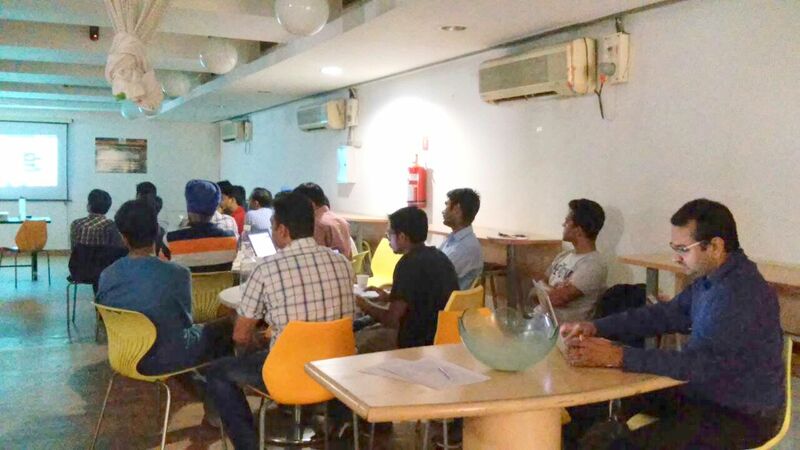 MongoDB held its 1st set of events, 10 months after opening its offices in heart of Cybercity, Gurgaon. The event started with a welcome note by Rajnish Verma, Director Sales, MongoDB India. I went next with a talk on Schema Design in Document NoSQL World discussing about Blog System. Before tea break, Anil N from Techgene covered Pelica Migrator and Ashish Mittal, Daffodil Software showed ERP system, namely Applane. Latter went on to win MongoDB innovation award that evening! Matias covered new features of MongoDB 2.6, released on April 8. Nikhil Nayab, Cignex showed scaling using sharding using effective shard key selection emphasizing on benchmarking to collect empirical evidence rather than any other method. Matias came back to demonstrate MongoDB Management Service (MMS). Abhishek Tajpaul, from Intelligroup described his experiences during building of social media analytics. Next up was Jabong’s usecase of MongoDB, before the innovation awards were announced. Next stop was Bangalore, where other Matias, Abhishek, Anil N., Uday Kumar (different speaker from Cignex) and I repeated our talks (Well, audience was different 😉 ). Susheel Zaveri, [24/7] talked with a lot of love for MongoDB about storing user behavior logs in MongoDB and its integration with ElasticSearch for beautiful charts for insights! Rediff News Publishing’s use of MongoDB was described by Subbu. After this, Livingtree won the innovation award! We had a gala night afterwards with audience.